+ Dry Residual Protection successful killing agent during (12) month testing period. 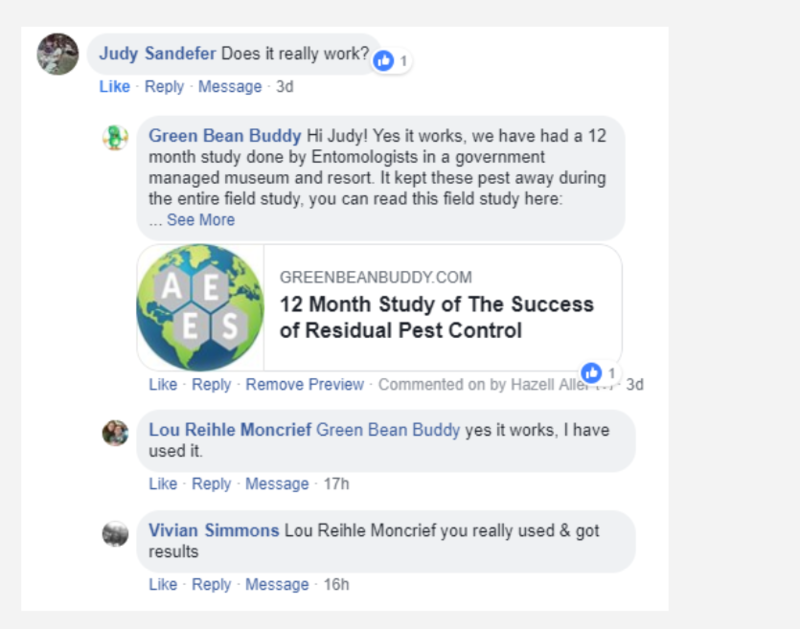 Green Bean Buddy™ Bug Killer is an all-in-one pest control product certified by the American Academy of Entomological Sciences (AAES). 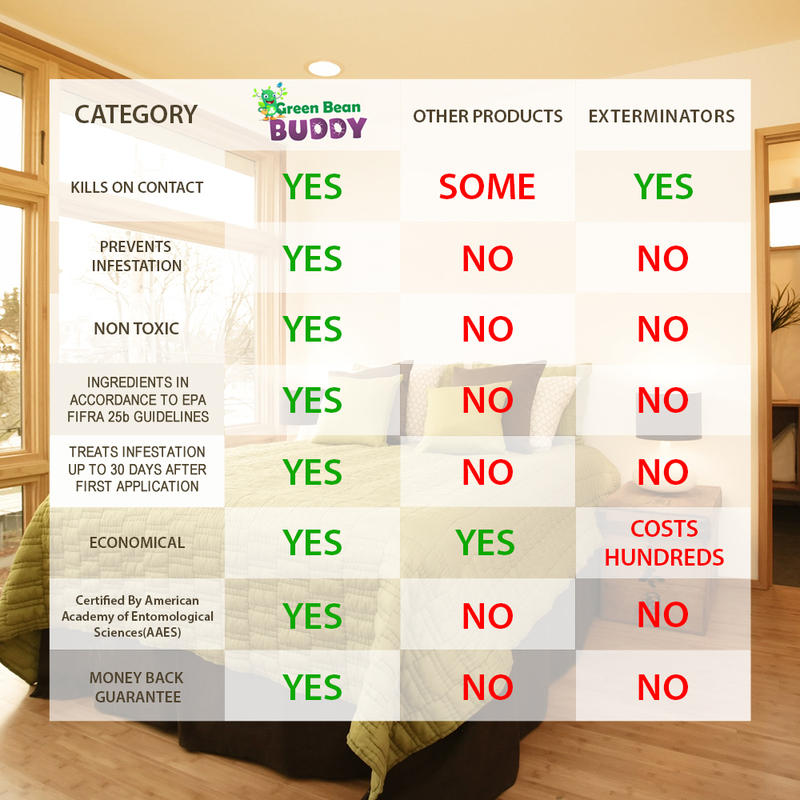 This product is formulated to eliminate bed bugs, lice, fleas, ticks, roaches, ants, millipedes, silverfish, carpet beetles, spiders, spider mites, aphids, gnats, flies, centipedes, beetles and prevents future infestations for up to 30 days. 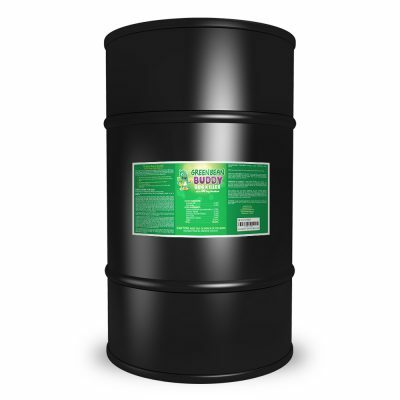 This formulation is used by numerous hotels, hospitals, resorts, and pest management companies. The easy to use formula works in just 5 – 10 minutes upon first application. 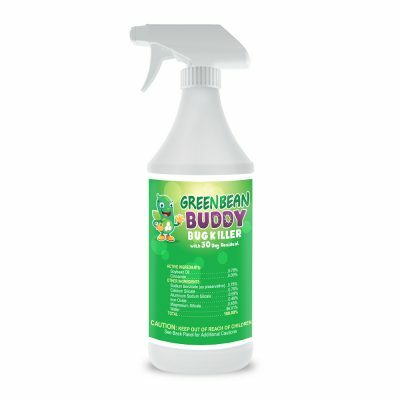 Just spray Green Bean Buddy™ Bug Killer, wait, and let settle. Then watch as the harmful bugs either scatter from their hiding locations or die with your first treatment. Pest control management professionals use this exact formula to reduce labor costs and increase extermination success rates. You will notice harmful insects scatter and killed within the first minutes of using the product as per label instructions. This product has not been registered by the United States Environmental Protection Agency. 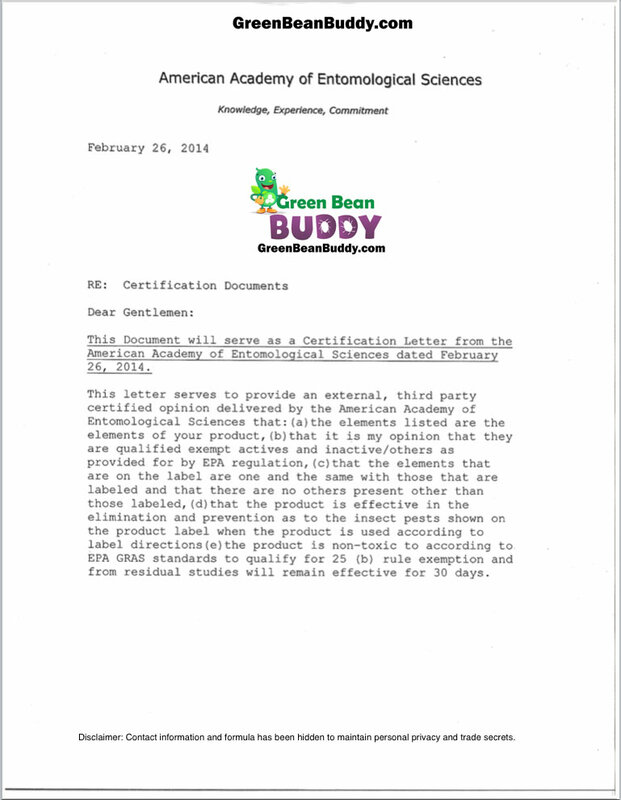 Green Bean Buddy LLC represents that this product qualifies for exemption from registration under the Federal Insecticide, Fungicide, and Rodenticide Act. We always strive to be upfront and honest to our customers. We accept returns for unopened and unused products. Since this is a consumable item, we do not accept empty or entirely used products. Please be advised returns must be requested within 30 days of your purchase date. You can read our return policy here, to help you understand how we handle returns. 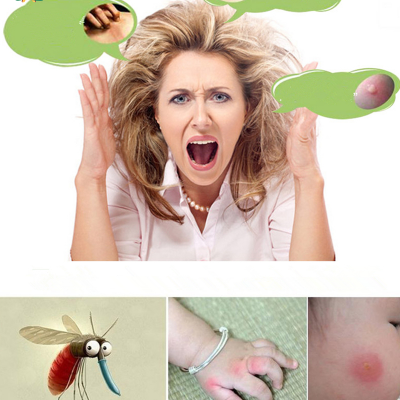 Our primary mission is to help you get rid of this painful insect infestation once and for all. 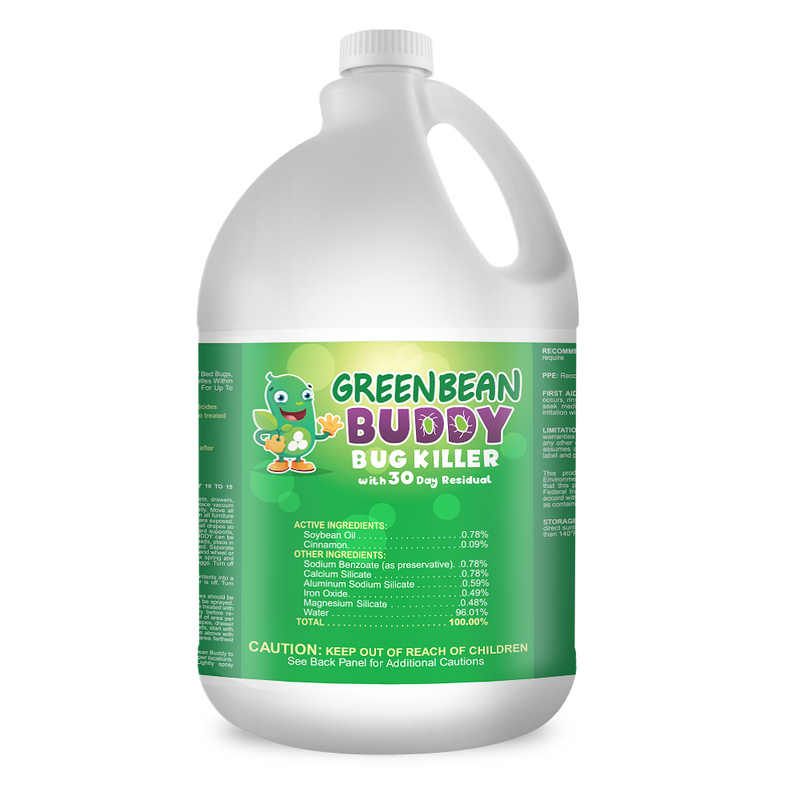 This 1 gallon jug of Green Bean Buddy™ Bug Killer does not come with a sprayer. If you would like us to add a sprayer, we can bundle a 32oz bottle with sprayer to your order, simply add it at checkout. 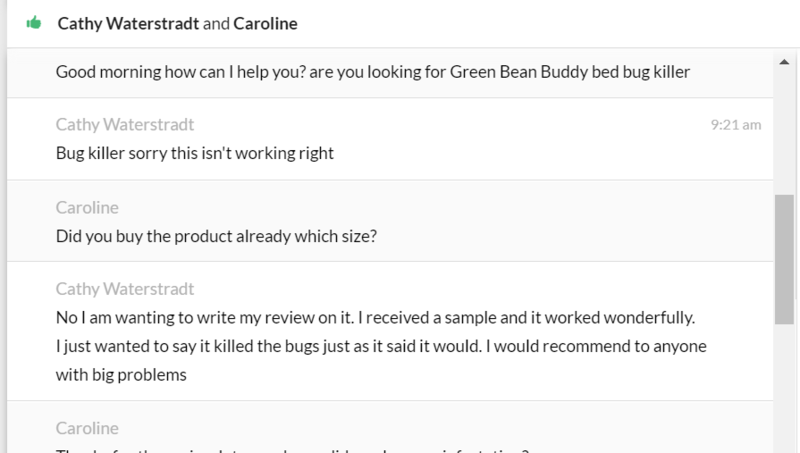 Chat with Deborah Smiley: 02/06/18 Green Bean Buddy is a Wonderful product. Helped me a lot with my bed bugs problem. I continue with the treatment because after a month I see couple crawling around I want to make sure they are gone for good. I’m buying 2 more gallons this time. See I like the product. 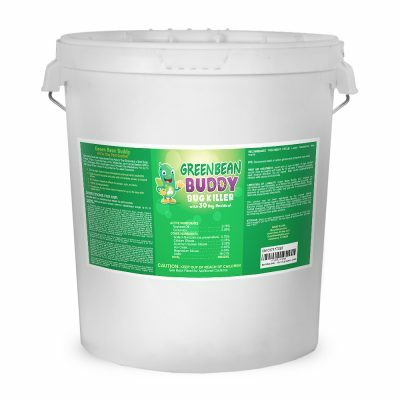 I have bought your Green Bean Buddy Bug Killer a couple times and love it. !1 ;–)) It is great and pet safe. !!! Product is a good one and takes care of bed bugs easily and efficiently. You can’t believe everything you read but i’m writing this because it works, if you follow the direction as stated it does just what they say. I purchased the small package because it can get expensive buying all the different products out there but after using it i went back and got a gallon more so i can keep up with the treatment for a while till i’m sure the bed bugs are completely gone. Thanks for the kind words, it’s greatly appreciated. We’re happy your done with these bed bugs. 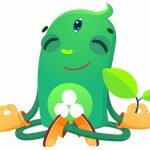 It’s our mission to infuse wellness into your life and you are helping us, help you. So it’s a win.. win. 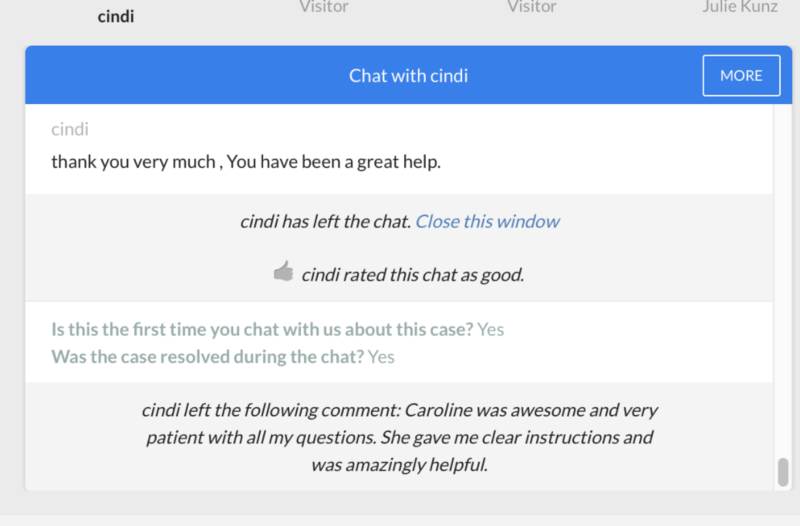 Thank you again for sharing your experiences and chatting with our experts on live chat. I’m sure your story will help many others. Yes I received my bed bug gallon today and started using it. It works when I spray on the bugs. Thank you. Love the product. Killed all the ants and have not seen any in about a week. And does not bother my new 9 week old puppies. About 1-2 days, and I sprayed around the windows and doors and have not seen any since. My neighbor had some crazy “beetles” in her window sill jammed with them and eggs. By the end of the day every one of them were dead, where she was able to open the window and clean them out…it was disgusting how big the nest was. we really love the greenbean buddy. we have tried everything, 1000’s of dollars spent.your product works great! we just needed 1 more gallon to spray the main areas and vehicles. So far so good. I only saw two bugs last night. Only been using for one week so far. I am feeling like a heal here. Once I received your product it was enough. I apologize for being impatient and I thank you this is working fabulously. I treated three apts and they love the results from it. I was able to use it once, but some how it disappear. When i have enough money i will try to purchase more. Yes, it works. I have used it. It works. Thank you so much. I am sharing this to people I know for sure. 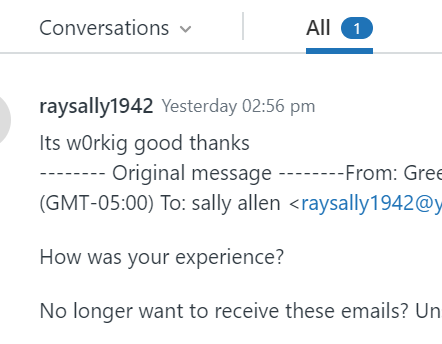 We have used your product and I love it. This stuff works great. Haven’t seen any for several weeks. I want to get more. So I can spray once a month now till they’re completely gone!